If you’re in need of a quick cash injection, you’ve got to know your options. 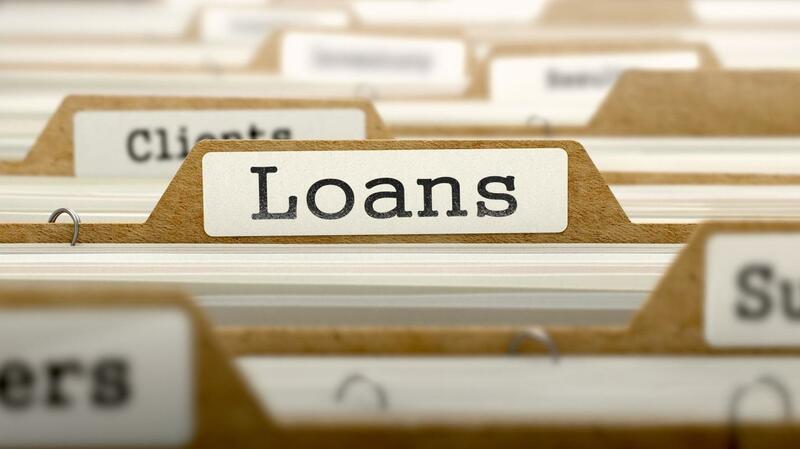 Click here to check out this guide to various types of bank loans. There is no time like the present to get your finances in order. Having to make a major purchase or deal with a financial emergency when you’re strapped for cash is stressful enough. Dealing with money matters when you have questionable credit is an issue of its own. Trying to secure a loan during an emergency can lead to a rushed decision. A decision you may later regret because you did not weigh all the pros and cons. If you are currently in a lot of debt it may be time to start thinking about consolidating. Not only will it help relieve some of the pressure you’re under it could also help raise your credit score. Whatever your financial situation is, it is always good to know your options. Continue reading to learn more about the types of bank loans available to you and what you need to know to obtain one. The first thing you need to know when it comes to discussions about finances if know your credit score and understanding what is in your credit reports. It will be your credit score that plays the biggest part in a bank’s decision to loan you money. Consumers should take advantage of the annual free credit reports by the three major credit reporting agencies. Equifax – www.equifax.com. P.O. Box 740241. Atlanta, GA 30374-0241. 1-800-685-1111. TransUnion – www.transunion.com. P.O. Box 1000. Chester, PA 19022. 1-800-916-8800.
Review your credit reports for accuracy and be ready to challenge any incorrect information. A FICO score will typically fall into a range between 300 and 850. The average American consumer has a score of 699 with banks viewing a score below 650 as poor credit. Now let’s get into the types of loans. If you have pretty decent credit you shouldn’t have a problem securing this type of loan. A personal unsecured loan is a loan that does not require collateral or a cosigner. The biggest benefit of an unsecured loan is that you will have lower interest rates and sometimes longer to repay the loan. Borrowers can access up to $50,000 for a personal loan at most banks. Those with exceptional credit can borrow up to $100,000. The average term for a personal loan is three to seven years. Personal loans can also come with a line-of-credit, which is a maximum amount you can borrow, but no requirement to take the full amount. However, the balance is available as long as your credit doesn’t change. Not having perfect credit is not a disqualifier for taking out a loan. Lenders have the flexibility to look at your overall financial picture when making a decision on your creditworthiness. You may not have a perfect credit score, but you may have longevity and stability in your work history. Your debt to income percentage could be low. Or you could own your home or other property like a car. With a collateral loan, the borrower is required to secure the loan with a piece of property of equal or greater value to the loan amount, such as a car. The risk in collateral loans is that if you are unable to repay the loan you whatever you used for collateral will become the property of the bank. The bank will then sell the collateral to recoup their loss. If you are overwhelmed by your debt and don’t feel you will ever pay down the balances, a debt consolidation loan may help. With these types of loans, the borrower lumps debt like credit card balances, student loans, and car loans into one manageable loan. The goal of this type of loan is to pull the majority of your debt into one monthly payment. The mistake some people make is not closing out the credit cards once the balance is back to zero. If not careful, they can end up in a far worse situation. Simple bank loans typically come with a fixed rate. A fixed rate loan means that the interest rate you receive when the loan offer is made is the rate you will pay for the duration of the loan. This is a good thing because your monthly payment will remain the same throughout the repayment period. For those working to improve their credit score having consistent monthly payments makes budgeting easier. The opposite of a fixed rate loan is a variable rate loan. Like an unsecured loan, these types of loans come with a downside. In this case, the terms of the loan can change without notice due to increases in market interest rates. One condition of variable rate loans is they come with a base cap for this type of loan. The cap means that regardless of changes in interest rates loans will not exceed a certain percentage rate. Student loans can have one cap while personal loans have another. If you start at 5 percent on a personal loan you could find yourself paying close to a 15 percent interest rate by the time the loan ends. With increasing rates, which can occur monthly, your payments will also increase. Owning a home has its benefits. One important benefit is the ability to take out a home equity loan or home refinance. Having sufficient equity in your home can come in handy. When you have major expenses on the horizon you have a source to tap into. It may also serve as a form of debt consolidation. Different than simple bank loans, your interest rate may be lower based on your credit. The downside is that your mortgage payment and terms will increase. This is important to consider if you are close to paying off your mortgage. In cases where your credit may no longer be as pristine as it was when you purchased the home, you may end up with a higher interest rate. You may also be forced into a balloon mortgage to keep your monthly payment in a range you can afford. Your car can get you the money you need by using these popular loans. Car title loans are loans that use your car title as collateral. Aside from having a clear title for your car, the vehicle will need to be less than 10 years old and have low mileage. The funds for your loan can be available in less than an hour. The terms, however, are not always favorable. Interest rates can be high, repayment time is short, and your car can be disabled or repossessed if you do not make your payments on time. Read more here to see if a car title loan is right for you. This isn’t always the best choice of loans but can come in handy when you need to get your hands on some quick cash. A credit card loan is merely accessing the available balance on your bank-issued credit cards. Your line of credit was established at the time you accepted the credit card offer. The amount available to withdraw is the credit limit minus the outstanding balance. In some instances, you may be able to contact the card issuer for a credit increase. Money borrowed from a credit card is subject to the same interest rates you are already paying. This could be three times what you would pay on a personal loan. Plus, cash withdrawal often comes with a separate withdrawal fee. Another emergency loan is the payday advance loans. This type of loan always comes with higher than normal interest rates. The terms of the loan generally require repayment within 30 days. In most instances, a bank account is required to secure repayment of the loan. The provider will withdraw the loan amount via electronic ACH on your designated payday. Payday loans work when you are in a bind and need immediate cash. They should not be relied upon to resolve service cash flow issues. Business owners have an additional loan option. Small-business loans are a type of bank loan that is geared towards entrepreneurs. These popular loans can be made in amounts up to $500,000 in some instances. To qualify for a business loan you will need to have a strong personal and business credit score. This may make it difficult for some to get their foot in the door. You will need to explore the requirements for the loan, which typically includes a solid business plan and proof of your annual revenue. Be prepared to present copies of both your personal and business tax documents. Do You See a Loan that will Work for You? We hope presenting the types of bank loans available to you was useful. If you’re looking to take out a loan immediately, shop around for the best interest rates and terms. For more financial information to help you get in front of your finances, click here for our finance toolkit.